A cookie is a small data file that certain web sites write to your hard drive when you visit them. A cookie file can contain information such as a user ID, password, and the pages you’ve visited on that web site. The only personal information a cookie can contain is information you supply yourself. A cookie can’t read other data off your hard drive or read cookie files created by other sites. Cookies can persist on the client’s computer for a variable amount of time. Vedanta Society of St. Louis does not use or deliberately set cookies on this web site. However, it must be noted that the web site uses different technologies which sets a cookie containing server generated SessionID which is used to maintain state on the server. Session information on the server expires after 10 to 20 minutes of inactivity or when the instance of the browser window is closed. If you choose to disable cookies in your browser, you can still access most of our Web sites. However, you may experience that certain features of the web site may not behave as designed or expected. 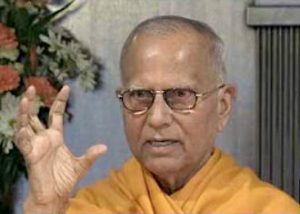 Vedanta Society of St. Louis may collect information such as IP address, page visited etc. This information does not in any way reveal your personal identity. The purpose of collecting such information is to track the success of the web site in terms of number of visits and pages most frequently visited. It must be noted, that the web hosting services where the web sites are hosted provide us with the total number of daily hits to the web sites. This number does not in any way give us any information about you or your hardware or software, or accessories. Our site’s ‘Contact Us Form’ requires you to give us your contact information (name, email address etc). We use them for no other purpose than to serve you better or send you what you explicitly requested, namely, updates on Vedanta related programs. Vedanta Society of St. Louis will not share with anyone, personal information provided by you or non-personal, non-identifiable information provided by you. However, we have no control over and are not responsible for the quality of security measures in force by the web hosting company. We are NOT responsible to you if our web hosting company’s server security is compromised and if any of your personal information is obtained illegally by anyone. We will not give, sell, rent, or load any identifiable or non-identifiable personal information to any third party, unless legally required to do so by the court of law. When you transfer information to us through the web, your personal information is NOT encrypted using SSL (Secure Sockets Layer) encryption technology before being sent over the Internet. However, we are not responsible for the security measures in force by the web hosting company. From that consideration, we are NOT responsible to you if our web hosting company’s server security is compromised and if any of your personal information is illegally accessed by anyone. This site contains links to other sites. Such sites are clearly identified and you can elect not to use them. Vedanta Society of St. Louis is not responsible for the privacy practices or the content of such web sites. You should be aware that these sites may collect information such as your IP address, and deliver cookies. However, any personal information you give us is not shared with any link site.